Michael Walter Wollman was born in Chicago, IL on December 5, 1955. At an early age, he and his family moved to Milford, Indiana, a small farming community where he spent most of his early years. After graduating from high school in 1974, he enrolled in Concordia Teacher’s College (now called Concordia University) in Seward, NE. Pastor Wollman was active in sports at Seward, participating in track, football, and basketball. While in college, he met Cynthia (Cindy) Schroeder, who later became his wife. When Cindy graduated and received a call to teach at Zion Lutheran School in New Palestine, IN, Pastor Wollman transferred to Indiana Central University (now called the University of Indianapolis) on an athletic scholarship in order to follow the “girl of his dreams.” The two were united in holy matrimony in the fall of 1976. While Cindy was busy teaching, Pastor Wollman studied at Indiana Central and also worked for the Boys’ Club of Lebanon, IN. They then returned to Seward where Pastor Wollman completed his Bachelor of Science degree in Education in May 1980. Upon graduation, Pastor Wollman came to Concordia Preparatory School to teach physical education and coach basketball and track. After six years as a Lutheran teacher, Pastor Wollman entered Concordia Theological Seminary in Ft. Wayne, IN to study for the pastoral ministry. He served his vicarage at The Lutheran Church of the Triune God in Brooklyn Center, MN. He graduated from the seminary with a Master of Divinity degree in 1990 and was ordained and installed into his first pastorate at Trinity Lutheran Church in McFarland, KS. Two years later, he returned to Maryland when he accepted a call to shepherd God’s flock here at St. Paul’s Lutheran Church in Kingsville. He was installed at St. Paul’s on August 9, 1992. 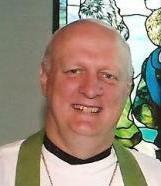 Pastor Wollman was awarded his Doctor of Ministry degree from Concordia Theological Seminary in May 2010. His dissertation is entitled Lutheran Worship: The Relationship of the Worship of God’s People in the Past and Present. Pastor Wollman loves to study the Scriptures and teach and preach on them at St. Paul’s. In his spare time, Pastor Wollman loves to read. He is a fan of the Orioles and Ravens and enjoys all kinds of sports and athletics. His favorite pastime these days is spending as much time as he can with his grandsons. Pastor Wollman and Cindy (a teacher at St. Paul’s Lutheran School) live in Abingdon. They have three daughters and two grandsons. Alex Bagnara grew up in Costa Mesa, California. He was born on December 1st, 1992 in Huntington Beach, CA. Alex attended Christ Lutheran Church and School in Costa Mesa from Pre-school through 8th grade. He attended Orange Lutheran High School in Orange, CA. While in high school he was involved in the fine art departments. He primarily enjoyed Sculpting courses. Throughout his high school years Alex would help out at Christ Lutheran in their Jr High youth programs. His experience there and influence from his DCE in those years is what got him looking into the DCE field. Alex attended Concordia Univeristy, Irvine. While there he was able to participate in the Around-the-World semester, which taught him a lot about various world cultures, religions, and practices, his group traveled through 10 countries in 4 months. In May of 2015 Alex graduated from Concordia with a Bachelors in Christian Education Leadership and a minor in Global Cultural Studies. During the 2015-2016 calendar year Alex will be interning at St. Paul’s Lutheran Church in Kingsville, MD. This internship year is his final requirement to complete his certification as a Director of Christian Education in the Lutheran Church-Missouri Synod.